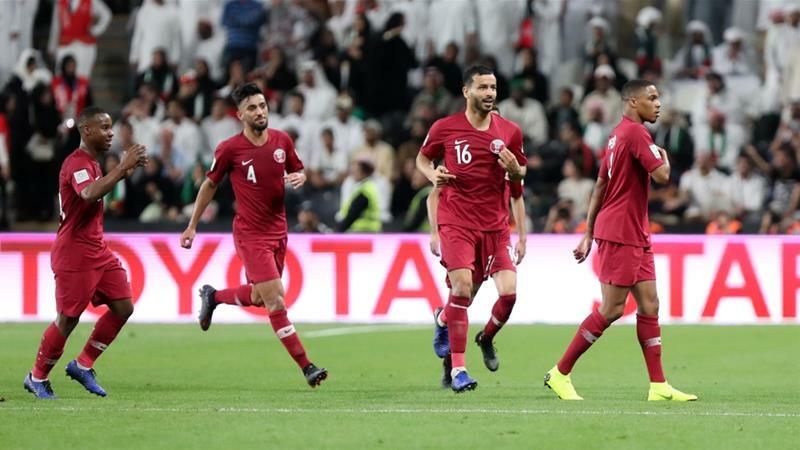 Qatar beat hosts United Arab Emirates 4-0 to reach the final of the 2019 AFC Asian Cup. The win, coming in front of a hostile Abu Dhabi crowd, sealed Qatar's progress to the title match for the first time where it will face Japan on Friday. Qatar opened the scoring with Boualem Khoukhi in the 22nd minute with Almoez Ali adding a second 15 minutes later. Hassan al-Haydos added a third in the 80th minute with a chip over the UAE goal-keeper and Ismaeil sealed Qatar's progress with a goal in injury time. The match was marred by crowd trouble twice where shoes and bottles were thrown at Qatari players celebrating after scoring. The crowd could be heard chanting and booing during the playing of Qatar’s national anthem minutes before the start.